Biography…. WHO IS THIS BROAD? A short novel about Aisling’s chequered past for you to read below…. Aisling’s first short special for Netflix is now available worldwide with the comedy lineup – check it out! She has already filmed short specials for Live At The Apollo (BBC1)- a clip of which recently went viral with over 6 million views. She has THRICE playing the Channel 4 Comedy Gala filmed at the O2 in London in front of 16,000 people, The Montreal Just For Laughs Gala and Russell Howard’s Good News (BBC3). Having been a working writer and actress for years, she gave stand-up a go in 2011. A year later, in what was a surprise to scientists everywhere, Aisling became the first woman in 20 years to win the prestigious So You Think You’re Funny? competition for new stand-ups. A year later, her debut solo show at the Edinburgh Fringe, C’est La Bea sold out it’s entire run, received four and five star reviews across the board and she was nominated for the Foster’s Best Newcomer Award (formerly The Perrier Award). Another year later in 2014, she won the British Comedy Award for Best Female TV Comedian. Her second Edinburgh hour in 2015, Plan Bea sold out it’s entire run in three days and had extra shows added due to demand. She is currently working on a new tour show for 2019. 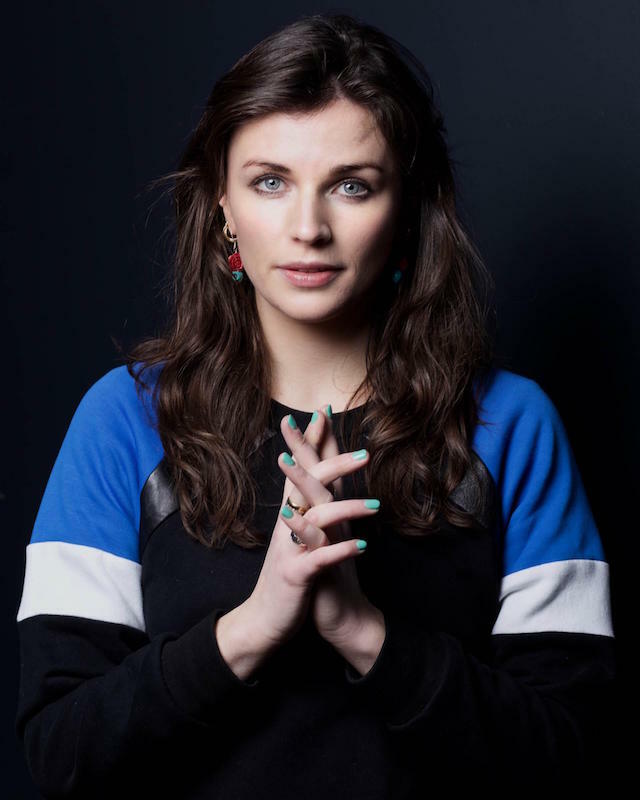 Aisling is a regular stand up on the LA circuit and performs all over the world from London to LA to Malaysia and in July 2107 played Montreal Just For Laughs Festival for a second time. Other festival appearances include Riot LA, Sketchfest San Francisco, Latitude and Electric Picnic. In 2015, she trained in actual wrestling to take part in the one off spectacle The Wrestling, where comedians and real WWF wrestlers battled each other. It was her proudest moment. Aisling does LOADS of podcasts and you can check them out in the podcasts section, they include, The Guilty Feminist, An Irishman Abroad, Paul Scheer and Jason Mantzoukas’ How Did This Get Made?, Eugene Mirman’s Hold On, Cariad Lloyd’s Griefcast and The Comedian’s Comedian Podcast, to name a few – check them out on her podcast page. She performed her own short story Kill Dilly on Radio 4’s afternoon readings Comic Fringes and her Radio 4 series Micks and Legends, which she co-wrote with Yasmine Akram, was nominated for a Chortle award and given a second series which aired in February 2014. … Aisling can famously hold a pen and paper at the same time. She has been a script writer for over a decade, but this year she and Emmy nominated Catastrophe’s Sharon Horgan have had a series commissioned by Channel 4 with Sharon’s production company Merman. Aisling is now writing Happy AF to air in 2019. In November 2017, her article about her father’s death by suicide first published for The Guardian “went viral” and you can read it here. ‘My father’s death has given me a love of men, of their vulnerability and tenderness’. … Aisling’s name is pronounced ASH-LING BEE. She lives between London and LA and New York but is originally from “Ireland” – which is just to the left of London, if you are looking at it from a flying bird’s POV. She has a degree in French and Philosophy from Trinity College, Dublin and is a very active member of the London Irish community. She is a patron of the London Irish Centre for whom she has organised fundraising gigs like “The Big Dishgo” raising thousands of pounds for young Irish immigrants. She was an active campaigner for the Repeal the 8th Campaign for Abortion reform in Ireland and still is for ethical clothing and more transparency in the clothing industry. She also supports the Help Refugees charity and recently did a gig in Calais for Calais camp volunteers with The Guilty Feminist. Her sister Sinead O’Sullivan, an established film costume designer has published a Costume Directory (@thecostumedirectory on Instagram) to raise awareness of more ethical clothing practices within the industry. They were both named “40 Irish Women Under 40 to watch out for” by Image Magazine. She has given speeches for the London Irish Women’s Network, read poetry for the official Bloomsday Celebrations at the London Irish Embassy and has also spoken at campaigns and protests for gender equality. Even though she does not have the height or face for modelling, she has still managed to appear on numerous magazine covers like Image, Cara and May 2018’s Irish Tatler.